Years 7 to 12; Co-educational Day and Boarding School. 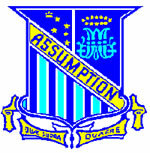 At Assumption College we are dedicated to educating the whole person - spiritual, intellectual, cultural, social, emotional and physical. Our mission is based on the vision of St. Marcellin Champagnat, the founder of the Marist Brothers, who wanted to "make Jesus Christ known and loved". We are committed to striving for educational excellence in a supportive community environment. We aim to help our young people to grow to become people of hope and personal integrity. Our commitment to Gospel values and educating for social justice shapes our approach to both our curriculum and our co-curricular programmes. At Assumption we believe in the importance of following Jesus' example of service, and therefore strive to provide the young people in our care with an education that is characterised by a lived experience of Christian values. Ballarat Grammar is a co-educational day and boarding school situated in a parkland campus, one hour from Melbourne airport. The school is proud of its academic standing as well as its ability to assist a wide array of individual, social, recreational and emotional needs. Ballarat and Queen’s Anglican Grammar School fosters the pursuit of excellence by providing its students with a broad liberal education of the highest quality in the Anglican tradition. An extensive parkland campus near Lake Wendouree hosts a flourishing community of learners, boys and girls, attending Ballarat Grammar. Over 200 of the students live in family-oriented boarding houses. The School’s focus on the education of the whole person, and engagement with wider communities, locally and globally, develops thriving, happy, well-grounded individuals intent on establishing their pathway in the world. At Walford we believe that it is important for your daughter to beher best! For more than 120 years Walford has maintained a dedication to excellence in the education of girls. But there's more to education than exemplary academic results. Walford is a dynamic girls’ school offering a friendly, family-orientated environment where each student is encouraged to be the best she can be. Progressive teaching and guidance are provided in state-of-the-art facilities to provide our students with the very best preparation to follow their future ambitions. Our school is a vibrant community where learning is prioritised and lifelong friendships formed. Our campus is designed to facilitate positive interactions across year levels and to provide the sense of belonging and connectedness that each girl should feel with her school. 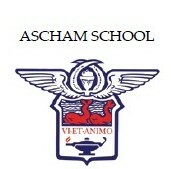 Ascham has been a leading school in girls’ education for over 120 years. From Preschool to Year 12, Ascham offers an academically focused curriculum, which is balanced by rich opportunities in sport, cultural activities and performance. The school is internationally renowned for its consistently high level of academic excellence and broad range of sporting, artistic and performance activities. Through its long boarding history the school maintains strong links with rural communities and has proportionally one of the largest enrolments of country boarders in NSW. Brisbane Grammar School is an independent, non-denominational, day and boarding school for boys, located in Spring Hill, Brisbane. Set on a heritage listed site, BGS opened in 1868 on its Roma Street site, making it one of the oldest school in Australia. It relocated soon after to its current Spring Hill location, overlooking the Brisbane CBD. Grammar has an outstanding 147-year historical commitment to educating boys, which is expressed both in terms of academic outcomes and the development of lifelong learners. The school’s longstanding commitment to a broad liberal education continues to best prepare its students for an exciting but complex world of change and diversity. As the world changes, so too does Grammar adapt, with its educators continuing to innovate to remain at the forefront of advancing teaching and learning practices. Today BGS caters for about 1700 boys, from year 5-12, with 102 boarders calling the school home. The school is split into a Middle School and Senior School, designed to operate in an integrated manner and provide a seamless transition from boys’ middle to senior years. An important part of learning at Grammar happens beyond the classroom. The school’s extensive and balanced extracurricular program across sports, art, drama, music, and a vast array of clubs and activities caters for boys wanting to learn new skills and make new friends, through to elite performers with the highest aspirations. To add to that student wellbeing program represents an integral element of the school’s mission. BGS is committed to a culture that fosters and inspires the ongoing development of resilient, responsible and happy individuals. Christ Church Grammar School is an Anglican day and boarding school for boys from Pre-Primary to Year 12. Located in Perth, Western Australia, the School overlooks the Swan River at Freshwater Bay in Claremont. Over 1500 boys, over 110 of whom are boarders, are enrolled at Christ Church. Over 1020 boys study in the Senior School (Years 7 to 12) and over 480 attend the Preparatory School (Pre-School to Year 6). Christ Church inspires and develops its students by encouraging diversity, facilitating enquiry and creating an environment in which each individual is purposefully involved. The School’s dynamic programmes enable boys and young men to search for their talents and discover their social conscience and character. The academic programme, as reflected in the School’s consistently high TEE results, is outstanding. A caring pastoral system complemented by specialist programmes in the arts, sport and outdoor education cater for the diverse needs of the boys. Activities such as sailing, service learning and robotics further enrich the learning experience. 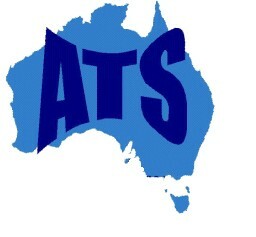 All Saints' College Bathurst is a co-educational Christian college in the Anglican tradition. Day students are catered for from Pre-Kindergarten to Year 12 and boarders from Years 7 to 12. Today, All Saints' College Bathurst has a total enrolment of approximately 530 boys and girls. With its academic and sporting achievements it is among the top in the Central Western Region of New South Wales. It is also one of the most successful schools in the state, both academically and in co-curricular activities. Located at Bathurst, NSW, All Saints' College has the benefit of country living but is still readily accessible to Sydney and major centres. 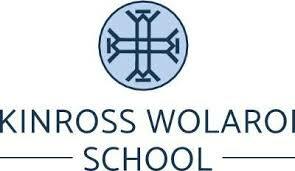 We seek to nurture, encourage, challenge and educate in a warm, caring, pastoral environment. 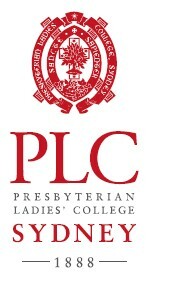 Presbyterian Ladies’ College, Sydney is a day and boarding school for girls from Reception (pre-Kindergarten) to Year 12, offering a broad curriculum to students from a diverse range of backgrounds. Founded in 1888 and situated at Croydon, the College is set within 4.4 hectares of landscaped grounds and retains its nineteenth century heritage buildings and gardens alongside modern state-of-the-art facilities. PLC Sydney aims to educate young women from the basis of a Christian world view to make a difference in a rapidly changing global society. Its graduates are confident, caring, accomplished young women who make a fine contribution to society and who carry a genuine concern for the welfare of others. The College is home to approximately 1300 students and has accommodation for up to sixty-five boarders. 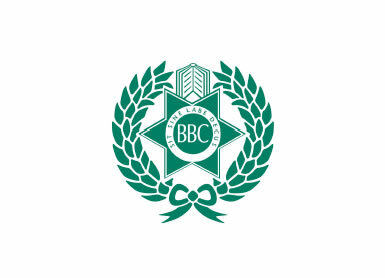 Boarders achieve their academic best and broaden their horizons in an intimate, supportive, caring environment. The Boarding House offers full and weekly boarding for students in Years 7 to 12, with access to the outstanding school facilities including an indoor aquatic institute and performing arts centre. PLC Sydney is widely recognised in Australia and overseas for developing innovative educational initiatives and providing a world class education. Approximately half the students who sit the Higher School Certificate (HSC) gain an Australian Tertiary Admission Rank (ATAR, previously known as UAI) of 90 or higher and students leave school to pursue a wide range of career opportunities. Owned and conducted by the Missionaries of the Sacred Heart, Downlands is more than just a school. It does more than just teach reading, writing and arithmetic - although the College is widely recognised for the high standard of its teaching in these and many other areas - but that alone is not the reason why so many parents and students are pleased to have chosen Downlands. Day students at Downlands are drawn mainly from Toowoomba City and some of the close outlying country areas. There are approximately 500 male and female day students at Downlands. The 240 odd Downlands' Boarders come from a wide catchment area including diverse cultures; within Queensland, other states of Australia and overseas. Downlands was founded with a special commitment to country families and those families with a challenge of distance and remoteness. It is this commitment that makes Downlands unique with its understanding of remote families and the challenges that these families face in educating their young people. And it is with this in mind that we welcome students from families who live overseas. Independent, Non-denominational, Co-educational Pre-School to Year 12. Specialising in excellence in academic performance together with excellence in performing arts. Boarding accommodation available (Yr 7-12 girls only). Recognising that a rich and creative learning environment fosters the development of the whole person encapsulates the spirit of The McDonald College. Whether your child will be a professional performing artist or whether you simply recognise the value of a performing arts education, The McDonald College is unique and would value the opportunity to showcase our school to you. From Pre-School to Year 12, we balance academic performance with performing arts in a community that encourages and celebrates individuality in a supportive environment. Good Shepherd College provides a quality education in a safe, caring Christian environment. We endeavour to provide opportunity for foundations for the whole of life learning, imparting Christian values. 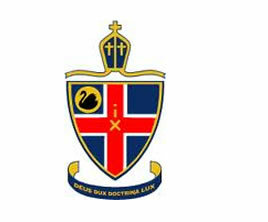 Good Shepherd College is a Lutheran Co-educational College, located at Hamilton in Victoria's Western District. It is located on two campuses, for students from Prep to Year 12. Our mission is to provide a quality education in a safe, caring Christian environment. We endeavour to provide opportunity for foundations for the whole of life learning, imparting Christian values. We foster a co-educational approach to learning and offer a broad range of activities for all our students. Choosing the right school for your son or daughter is an important decision. The Good Shepherd College staff welcome the opportunity to assist you in this process. Please contact us if you wish to take a guided tour or if you would like to discuss your child's needs person to person.